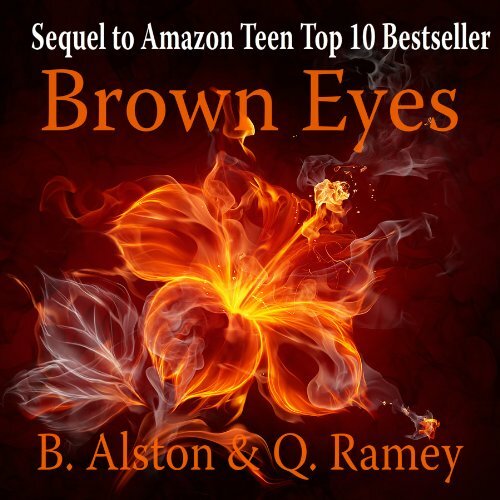 KidsEBookBestsellers.com: Brandon Alston Has His Eyes on E-Book Success! 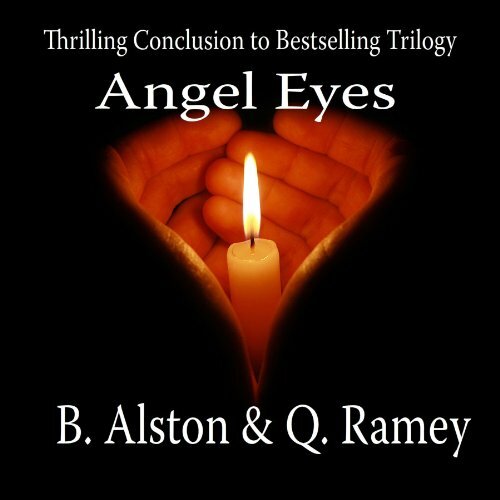 This week we’re hearing from Brandon Alston, who together with Quinteria Ramey, has written the Forever Trilogy: Grey Eyes, Brown Eyes and Angel Eyes. All three books have been on my Kids' E-Book Bestseller List. Grey Eyes hit the Amazon Children’s top ten on May 21st, and stayed there for 12 weeks. 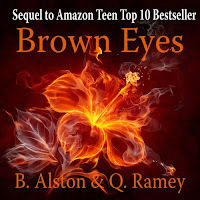 Brown Eyes made the top ten for 5 weeks starting on July 2nd, and Angel Eyes has been there for 4 weeks including today. First, let’s hear from Brandon on what the series is about. 15 year old Anastasia Adams has spent her entire life on the run. She and her mother have never spent more than 18 months in any one location, often times leaving with just the clothes on their backs. Despite the havoc that this is wreaking on Ana's social and academic life, her mother offers no explanation as to why it is they're constantly moving, or even what it is they're running from. But that all changes one night in the woods of Pelion, SC--the night the terror catches up with them. Fearing her mother dead, and having barely escaped with her own life, Ana is whisked away to world of privilege and tradition. It's a fairytale come to life. The poor girl used to living out of a suitcase is now a resident of one of the most exclusive addresses in the world. The people there adore her and she catches the eye of a young guardian who sees her as a refreshing change to the girls he's grown up with. If only they could find her mother. If only she knew the consequences of being born a “conjurer” If only she knew who that green eyed stranger was, the stranger who'll tell her about a past too romantic, and too tragic to be real. In the end, she'll have to choose between the boy who has captured her heart and the stranger she can feel down in her soul, assuring at least one of them an almost certain death. Our book is a young adult paranormal romance so we went into this thinking that our target audience would be predominantly teenage girls. And while it’s true that teenage girls make up a large percentage of our buyers, we’ve found that adult women are our primary buyers. In many ways, writing in this genre allows you to reach everyone, and that’s probably why it’s so popular. I think the e-format works because it’s just so convenient. You can literally have thousands of books at your fingertips at any given time. Paranormal romance fans really love paranormal romances and are voracious readers (we know because we’re fans of the genre too!). The e-format allows you instant access to that hot new book or that sequel you’re craving. By the time I started this March, people like John Locke and Amanda Hocking and J. A. Konrath had already made big names for themselves in self-publishing. 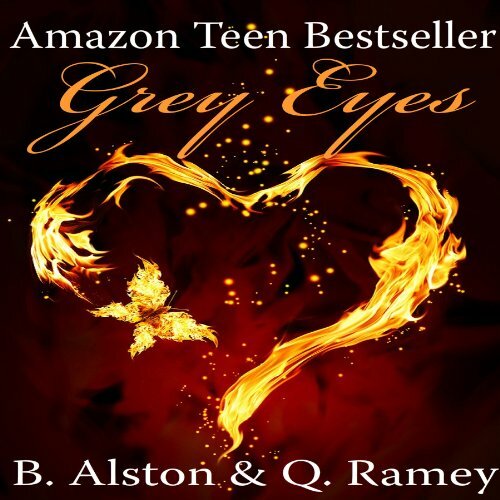 So when we finished Grey Eyes we were optimistic that we could do okay with sales. Maybe we could make enough to pay a couple of bills. We never imagined that we would be as successful as we have been blessed to be. It has literally been a life changing experience. We were both able to quit our jobs and focus completely on bringing out new stories that we feel passionate about. Wow! So you believe the e-format helps you as an author? I would recommend self-publishing to anyone interested in writing. With devices like tablets and e-readers becoming so popular, unknowns have the opportunity to reach millions of potential readers. There has never been a better time to be an author. If writing is your passion, then jump in with both feet and don’t look back. 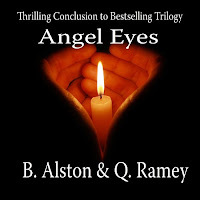 Learn more about Brandon and the Forever Trilogy at his blog and Twitter. And see more successful authors and their books at this weeks' Kids' E-Book Bestseller List.